For the first time in the history of WrestleMania, a main-event has been set one year out and it’s a big one. The Rock vs. John Cena is official for WrestleMania 28. The former Hurricane will return to Miami for his first WWE match in what will be eight years. The stage was set tonight on WWE RAW. John Cena called out The Rock at the end of the show. Ironically Cena seemed rather giddy less than 24 hours after being screwed at WrestleMania by The Rock. Regardless, he called out The Rock and the People’s Champ obliged. The Rock cut a promo on Cena in which he started to put him over. The Rock put over his work ethic and said he respected Cena, a sentiment which was met with a lot of boos. The Rock proceeded to tell Cena that he just doesn’t like him. Cena told him to settle it once and for all, took his shirt off, and challenged The Rock. After a brief hesitation The Rock accepted but said he’d rather do it on the grandest stage of all, WrestleMania 28. The two shook hands making John Cena vs. The Rock official for WrestleMania. The Corre jumped both guys after they agreed to the match. Cena and Rock fought them off pretty easily. It turned into The Rock and Cena trying to top each other as each took a turn hitting a member of the Corre with a signature move. The show ended with both men shaking hands once again. It was a bit odd after setting up the biggest match in recent years to see the two of them standing side by side and fighting off the Corre. I would be lying if I didn’t say that it took a bit of steam off of the announcement. The fans didn’t seem quite sure how to react either. The WWE has had a funny habit lately of taking some great angles and ruining them with overbooking. The bad news here is that the WWE has a whole year to do that with Cena vs. Rock. 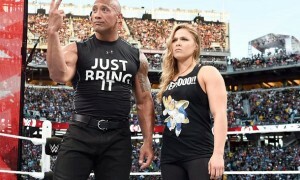 It appears that the WWE has a firm commitment from The Rock for next year. It is risky business to promote such a big match this early because a lot can happen. Cena or even Rock could get hurt. The Rock could get offered the movie part of a lifetime. Who knows, but either way the WWE must have a lot of faith that The Rock is in place for WrestleMania 28. In terms of main-events, The Rock vs. John Cena is easily one of the biggest main-event matches in WrestleMania history. I can’t think of anything bigger since Austin vs. Rock at WrestleMania XIX. Throw in the hometown element of The Rock being a former Miami Hurricane and you have one hell of an atmosphere set up for next year’s WrestleMania 28 main-event. This does bring up quite a quandary with John Cena. Cena is now the most hated man in the WWE. The Rock has turned the crowds 100% against him. Knowing that The Rock will be wrestling Cena at WrestleMania will only encourage fans to boo Cena. The WWE could try and tough it out with Cena and hope he gets some babyface heat back SummerSlam, but what if he doesn’t? At some point they are just going to have to give in and give the people what they want and that is the right to boo John Cena. 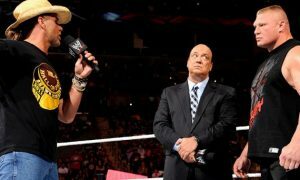 It also appeared that Triple H set the stage for a WrestleMania 28 match of his own on RAW tonight. Triple H said that whenever The Undertaker comes back that he will be waiting. I think those two are a lock for a WrestleMania 28 rematch with Career vs. Streak stips and Shawn Michaels as the special guest referee. 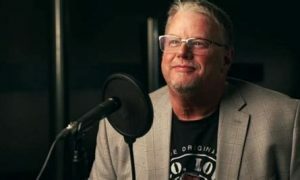 For a company that hasn’t planned ahead in ages, the WWE has sure turned a new leaf beginning with a one year build to arguably the most anticipated WrestleMania main-event in history.